When our minds drift to the thoughts of summer, often delightful notions come to our senses. Long strolls on the beach, gathering around the campfire with friends, eating ice cream at a roadside cafe, shrieking on a roller coaster ride…these are the kind of moments that captivate our summer days. 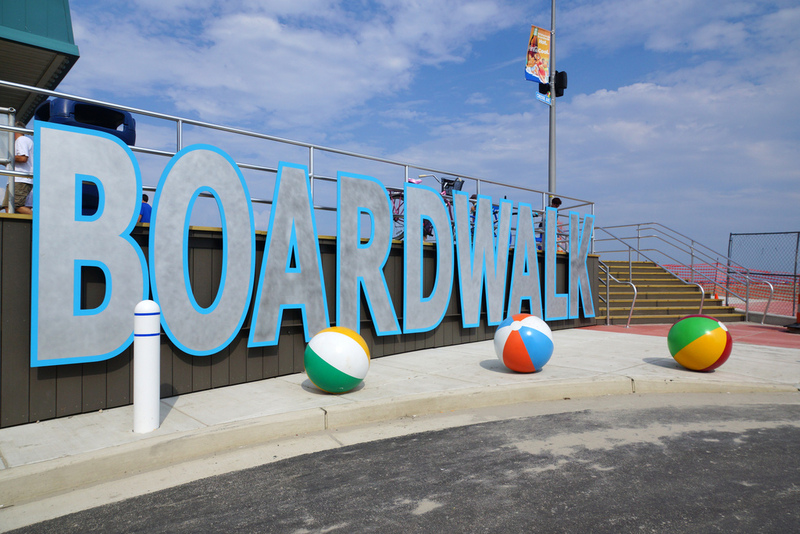 In many ways, the NJ Wildwood Boardwalk is the epitome of summer, all in our backyard. Begin your day at a leisurely pace by strolling on the boardwalk. The Boardwalk has a bit of everything – amusement parks, high-quality restaurants and boutique shops. You can take all of this in; whether you’re biking, walking, or enjoying gourmet ice cream, caramel corn or candy. Wildwood is a family-friendly vacation destination. There is a calmer, quieter vibe to this beach. Your feet sink deep into the soft sand and you feel the cool Atlantic Ocean underneath your feet. It is a deep large beach with plenty of space. Ice cream carts move through the beach offering cold treats. No need to put your book down – the treats will come straight to you. For children, you’ll find many of them galloping down the beach, discovering huge horseshoe crabs. Children love rummaging through the seashells. If there’s a grown-up who feels uncomfortable walking on them, they are guaranteed to be cleaned up the next day. The beach maintenance is precise and consistent. The water is clear, shallow, safe, and perfect for families with small children. You can relax on the beach and enjoy accessories like umbrellas and chairs, offered at reasonable prices and set up and taken down for you. The sandbar keeps the shallowest water mostly protected from rough waves making a safe place for little ones but plenty of waves to catch out a little farther for teens or young adults looking for some thrills! Get your boogie board and watch the dolphins jump. You can take your day up another notch and add more speed to it by jet skiing, parasailing, wave running, surfing and speedboat rentals. 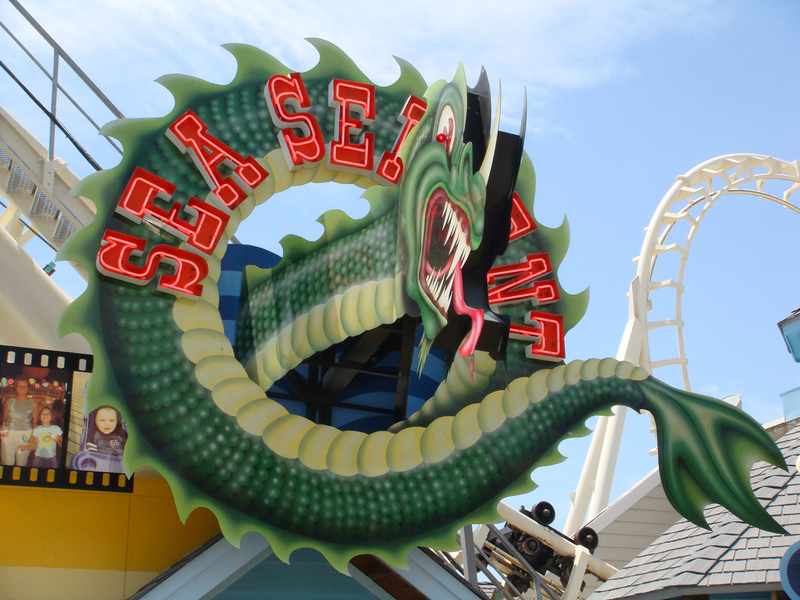 Our legendary boardwalk offers three amusement piers featuring more than 100 rides and attractions — including world-class roller coasters and three beachfronts! At night, Wildwood comes alive with grown-up fun. Relax with a few friends at one of the Wildwood’s many dance clubs, Irish pubs, lounges, sports bars, or hot spots. Boardwalks Best Gift & Variety Store: Boardwalk’s Best Gift & Variety Store, Elby’s Variety Store, and Five Mile Marketplace are the result of over 70-years of hard work and dedication to the Wildwood, NJ community. These stores have contributed to the magic and nostalgia of what the Wildwood boardwalk is today! Stop in or call (609)770-7545! Copyright © 2019 Boardwalks Best Gift & Variety Store. Powered by WordPress. Theme: Spacious by ThemeGrill.